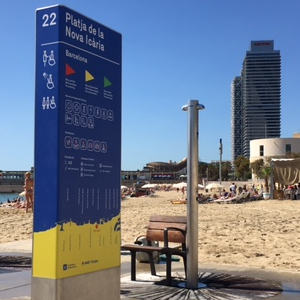 Nova Icària Beach is unquestionably the most popular accessible beach in Barcelona. It is well known for its comfortable beach wheelchairs, the presence of volunteer assistance, its sea-side promenade with plenty accessible paths that lead to the beach and facilities such as accessible showers, toilets and a hoist. However, it is certainly not the only accessible beach the city has to offer. 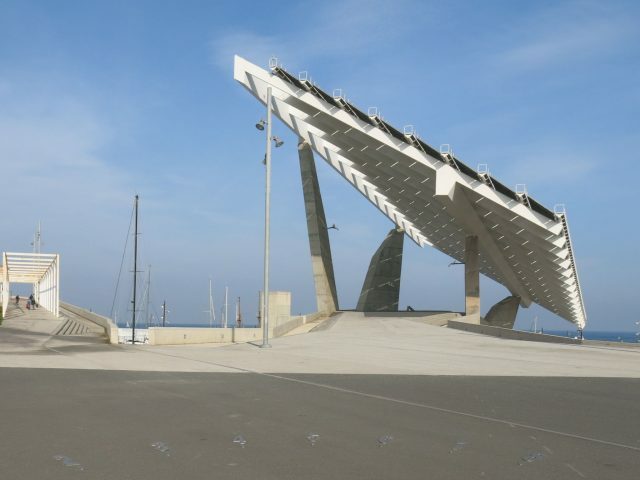 Therefore, we will give you a list of four other beaches that are worth the visit during your stay in Barcelona. This beach offers additional personalized assisted bathing services. This includes volunteer assistance, a hoist, and additional available equipment, such as floating wheelchairs and water crutches. 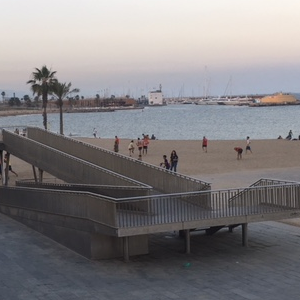 Only a stone’s throw away from the Gothic barrio and El Born, in the former fishing quarter Barceloneta, you will find the Barceloneta beach. 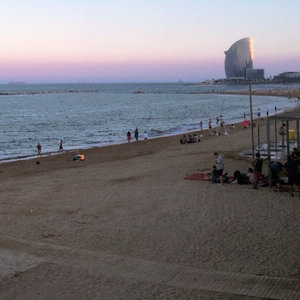 Together with Sant Sebastià Beach, this is one of the cities oldest and best-loved beaches. It is also one of the three beaches that offers assisted bathing services that allow you to take a dip in the sea. The service is free, make sure however to check the opening hours below, before you plan your visit. It would not be right to call the Fòrum Bathing Area a beach, as there is no sand. This seawater swimming pool, located in the North part of the city, does however provide the same personalized assisted bathing services as Barceloneta and Nova Icària Beach. So, if you are looking for some refreshment, this is a great place! Also, there are fewer people, which makes this place more peaceful. 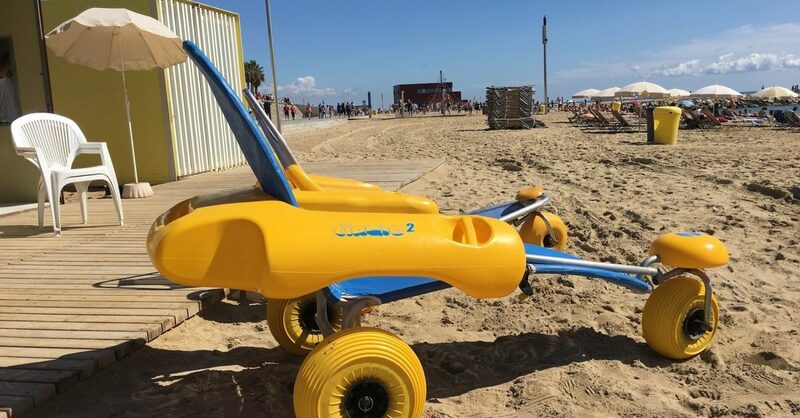 Located in the Sant Marti district and next to the Nova Icaria beach, lies the accessible Playa del Bogatell. 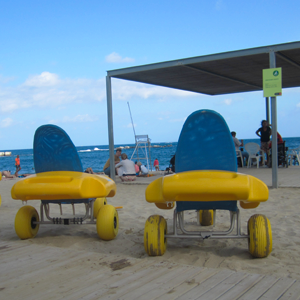 This beach offers a lot of services for disabled people. For the people coming with the car or accessible taxi, there are reserved parking bays for people with reduced mobility. Furthermore, the beach has a wooden path until the water for easy access. They provide side platforms for wheelchairs as well. 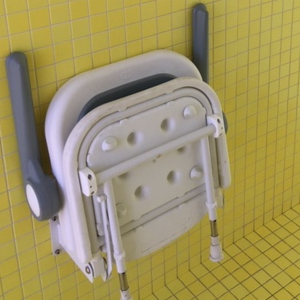 In the water, there is a preferential zone reserved for the disabled so it is calm to bathe. You can also find accessible changing rooms and adapted toilets over there. Umbrellas and long chairs can be rented and the shower cubicles have seats. This beach doesn’t provide the extra accompanied bathing service but is fully accessible for wheelchair users. Because of this, we give you the normal opening hours of the public facilities during high and low season. High season (26 May – 16 September): Public opening times are from 10.30 am to 7.30 pm at all establishments. Public lavatories are open from 10.30 am to 9 pm and lifeguard and first-aid services are available from 10.30 am to 18.30 pm. Low season (rest of the year): Only the Bogatell public lavatories are open. 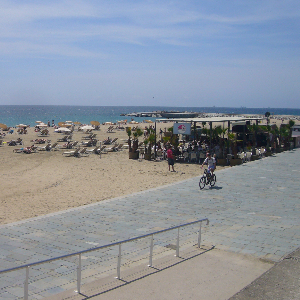 Located just in front of the famous W hotel, Sant Sebastià Beach is the most southern beach you will find in Barcelona. It is also one of the beaches closest to the city center. From here you get a great view of the 4.5km stretch of white sand and the mountains. 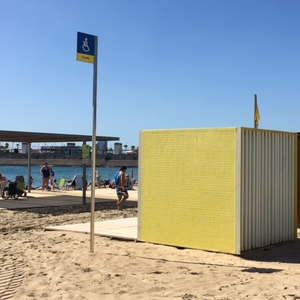 This beach offers all year round accessible facilities, such as accessible wooden paths providing access to the beach, side platforms for wheelchairs, and shadow areas. 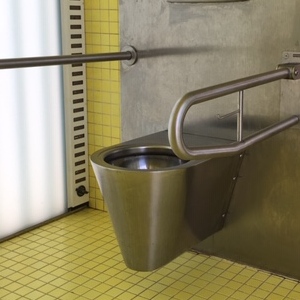 Furthermore, you will find accessible toilets, an adapted changing room and shower facilities with a shower seat. 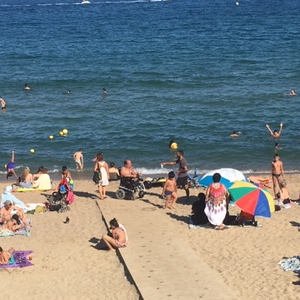 This beach does not provide the extra accompanied bathing service but is fully accessible for wheelchair users. Because of this, we give you the normal opening hours of the public facilities during high and low season.